Advanced Concrete Systems, Inc. was founded in 1986 and is the second licensee of Superior Walls of America (“SWA”). 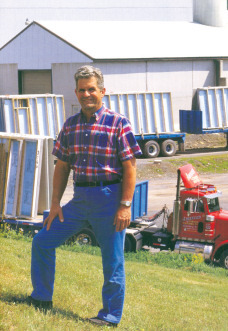 Founded by the late Larry Yarger, Advanced Concrete Systems aggressively marketed and grew the company while expanding its manufacturing facilities four times between 1986 and 2003. Advanced Concrete sells and installs foundations in Pennsylvania, Maryland, West Virginia and Virginia. The company employs approximately 100 people including manufacturing plant personnel, set crews, crane operators, truck drivers, sales people and office staff. Advanced Concrete owns all of its manufacturing facilities, cranes, trucks, trailers and other equipment utilized in company operations. Since its inception in 1986, Advanced Concrete has sold and installed over 27,000 foundations. SWA was founded in 1981 and has licensees that sell Superior Walls foundation systems in 25 states. The Superior Walls foundation system has been fully approved by the IRC and has been acknowledged as a fully engineered foundation system. In 2009, Superior Walls became the 71st product and one of the first 25 manufacturers to have its products approved to earn points toward the NAHB Research Center’s National Green Building Certification. Superior Walls systems have consistently been market leaders in designing and engineering innovative precast foundation systems that address builder, homeowner and code requirements. Advanced Concrete Systems developed and designed many of the innovations in the current generation of Superior Walls foundations. 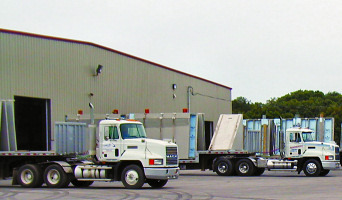 Superior Walls and Advanced Concrete Systems have been featured in magazines such as Popular Science (2001), at high profile shows such as the International Builders Show (2001 and 2002) as the foundation of choice for the New American Home, and have been featured on television many times on “This Old House” and “Extreme Makeover”. Advanced Concrete Systems, Inc. located in Middleburg, Pennsylvania has manufactured and installed over 27,000 Superior Walls precast concrete foundation systems since 1986. Advanced Concrete Systems employs approximately 100 people in Snyder County and services counties in Pennsylvania, Maryland, West Virginia, and Virginia. System wide since 1985, Superior Walls of America, Ltd. licensees and franchisees have manufactured and installed over 95,000 Superior Walls precast concrete foundation systems. NAHB Research Center National Green Building Certification.